The name says it all with this award winning sauce. It&apos;s full of honey and sweetness. Not real spicy but your tongue will surely know it&apos;s there. This was Rufus&apos;s first sauce and it&apos;s great for grillin&apos;, dippin&apos; or drinkin&apos; straight out of the bottle. In common with many adults, I do not usually enjoy manufactured tomato sauce - to me it tastes of sugar and chemicals and has a strong acidic aftertaste. So I did not know what was in store when I first tasted Rufus Teague Honey Sweet sauce, one of the range of flavours they produce. I was pleasantly surprised. The flavour is full-bodied but not too acidic, and it tastes of tomato and spices rather than unidentifiable ingredients. It does contain both sugar and salt, but because the flavour is quite intense a little goes a long way. I found 10-15 grams was more than adequate to accompany a meal. The product is gluten free which is a plus. The label suggests that it can be used with fish, poultry, pork and beef. 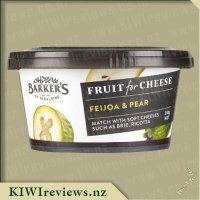 I tried it on crackers with a mild cheese and also stirred a tablespoon into a vegetarian quiche before I cooked it - the sauce blended beautifully with both. 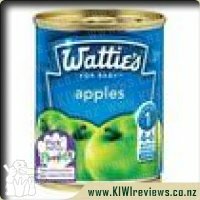 The flavour may be sophisticated, but three-year-old grand-daughter declared that she liked it. Grandson (aged 5) was not so keen but then again, it is designed for adult palates rather than children&apos;s.
I would be comfortable purchasing this brand in preference to other commercial sauces. It is more expensive than higher profile products designed for use with convenience foods such as sausages and burgers, but it lasts much longer due to the more concentrated flavour so this offsets the higher price. 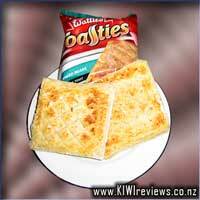 And for more sophisticated dishes it is a clear winner! Right off the bat I am going to say this is my favorite BBQ sauce to date and even a contender for my favorite sauce overall. The flavor is not overly strong or too diluted like some other BBQ sauces on the market.It adds great taste to all meats I have sampled it with and I don&apos;t mean sparingly.Its the sweet , tangy and smoky taste that has me hooked and this item has a common placement in our grocery shopping. Again with my gripes I have with these sauces the only flaw I see with this item is the bottle.Its is a glass bottle that holds a thick sauce which makes pouring difficult.i have found myself shaking , hitting the bottom of the bottle and even scooping out the sauce using a knife.If it was in a plastic squeeze bottle it would make it easier to apply but I guess it would loose a bit of its appeal. Speaking of appeal that&apos;s one of the things that made me purchase this sauce in the first place.Its natural rustic look in a bottle similar to a hip flask. 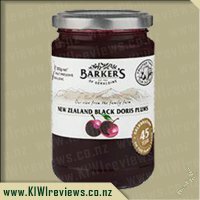 As for value for money it is a little bit darer than the standard BBQ sauce range but it is to be expected with the quality this sauce has.That was one of the downsides to when I first got the sauce. I thought the price was a little too dare but after having this sauce I find the price very reasonable.I have had darer sauces that don&apos;t even compare in flavor to Rufus Teague&apos;s.
Also being gluten free is a plus.There are so many more options I have to explore with this sauce which I look forwarded to.Its a hit with the kids as they love it as a dip for hot chips , saveloy&apos;s , pizza and the list goes on and on.I recommend this sauce to anyone that likes BBQ sauces or sweet sauces, once you try it I believe you will become as attached to it as I have. 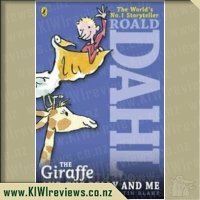 Once again I have been lucky enough to review a product which is now being added to my shopping list! 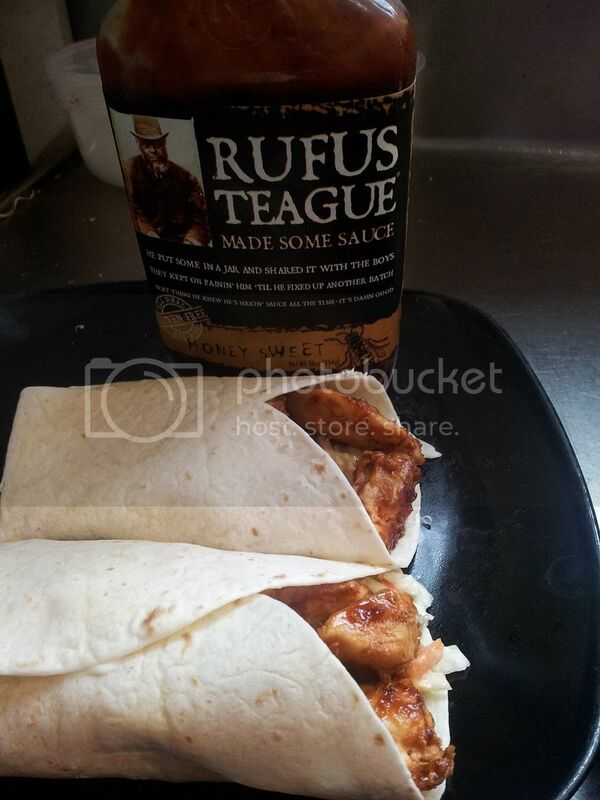 Rufus Teague honey sweet sauce is delish! As soon as the bottle arrived I had to give it a taste and one dip of the finger and I was sold. It had a lovely sweet but smoky taste perfect for my hubby who prefers sweeter things. Straight away I started thinking of different ways I could use the sauce, in the week that I have had the sauce we have tried it out in a number of different dishes. The first dish I tried it with was bbq chicken wraps using Farrah&apos;s wraps. was so quick and easy and very tasty. I simply diced up some chicken breasts cooked them a bit and then added some sauce to taste. I let it simmer in the sauce while I got the rest ready. I warmed the wraps slightly added some salad and threw the chicken on the top. It was an instant hit in the house and it quickly disappeared! Since then I have used the sauce on American hotdogs, on top of wedges, in meatballs and in cheese toasties. I have a feeling it&apos;s going to be a sauce that is reached for a lot in our household, it has so many different uses. The one thing the sauce has going against it though is the bottle, I love the shape of the bottle but being a thick sauce and a different shaped bottle it is hard to get it out. We were lucky enough to review Rufus Teague Honey Sweet Sauce and were not at all disappointed in what we tasted! In essence, this sauce is delicious and one that we will be continuing to buy and keep in our fridge. By far the best sauce I have ever tasted! 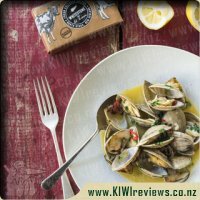 I&apos;m not the biggest BBQ type sauce fan in general which is the complete opposite of my husband, so when I applied for this to review I had opened my mind to try get over that and opted to try a whole heap of things I wouldn&apos;t normally mix with sauce. My husband LOVES everything and anything with sauce so I knew I just needed to take a page from his book . First thing we did when we received this was open the bottle and try the sauce - straight away my husband wanted anything for dinner that could involve the sauce! I was intrigued myself, because this sauce simply tasted better than any other BBQ type sauce I have tried before. First impressions from my husband of what this sauce tasted like in comparison to something is the BBQ sauce you get on your burgers from Burger King. That night my husband made nachos using mince, onion, Rufus Teague Honey Sweet Sauce and tinned tomatoes. 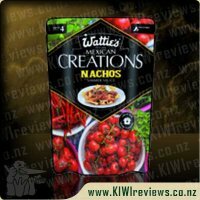 Yum is an understatement of how these nachos tasted - my husband likes nachos A LOT so its fair to say I have tried a decent amount of nachos in my time - these nachos however were easily a step above the rest! The sauce added a type of richness to the meat mixture and straight away I decided the next casserole I make I am going to add some of this sauce to it as well (something I&apos;ve yet to do). The next night with limited time and in need of something yummy we opted for a treat of eggs benedict for dinner. We had the eggs on muffin splits with bacon, hollandaise sauce and Rufus Teague Honey Sweet Sauce. Once again - YUM!! The sauce added hints of richness, sweetness and BBQ taste all swirled into one. I am not going to eat eggs benedict without this sauce ever again!! That should surely explain just how great this sauce really does taste. I&apos;ve also tried making pizza scrolls with salami, ham, chopped up tomato and Rufus Teague Honey Sweet Sauce used as a base sauce - again I was greeted with success - yay! When I served these to guests (I make these quite a lot) all opinion&apos;s I got back was that these pizza scrolls were better than others that I&apos;ve served them before but they weren&apos;t really sure why. Haha so yep you guessed it - this sauce is now my secret ingredient Although I did tell these friends/family why so they can celebrate the yummy taste and buy their own bottle from the supermarket. 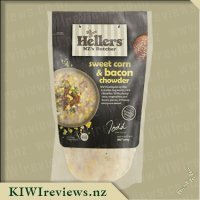 I have to say its great this sauce is so easily accessible by just buying from your local supermarket and at a good price considering the bottle size. Totally recommend to others! 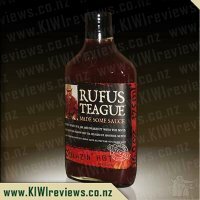 I have to admit, when I first put my hand up for the Rufus Teague sauce I wasn&apos;t exactly sure what type of sauce it was, from the photo it looked like a BBQ sauce but I wasn&apos;t certain. When it arrived I was so happy to see that it was in fact BBQ sauce and I was also happy that I had gotten the Honey Sweet version even though I said I would review one of the hotter ones as I much prefer more mild flavours. I quickly did a google search and found the perfect recipe to use the sauce in, BBQ Chicken Tenders. First I cut up the chicken and marinated it in Rufus Teague BBQ sauce, mustard and honey, I let that soak in for 1 hour. Then I coated each chicken piece in flour, egg and coarse dry breadcrumbs (Panko style). I placed the chicken on a baking sheet and coated each side with cooking spray and then baked for 10 mins on each side. I served the Chicken Tenders up with a coleslaw and Rufus Teague BBQ sauce. It was a perfect meal for a Sunday night. The chicken tenders on their own had a faint smokey sweet BBQ flavour to them which at first glance would surprise people that didn&apos;t know they were marinated. When dipping the chicken tenders in the BBQ sauce it just enhances the BBQ flavour that the underlying chicken has soaked in. My daughter finished every last piece of chicken on her plate and my husband has requested I make this meal again so it must have been a hit! The only thing I didn&apos;t like about the Rufus Teague sauce was the bottle it came in. It looks quite fancy and unique from first glance but when it came to actually getting the sauce out I had a bit of trouble. The sauce is quite thick, (which is great, nice and thick is how BBQ sauce should be) and I needed a full cup for my recipe so I spent a good 5 minutes trying to get the sauce of the bottle. It&apos;s a glass bottle so I couldn&apos;t squeeze it and I was afraid if I shook it too hard that the sauce would go everywhere so I had to do many small shakes and just wait for the sauce to come out at it&apos;s own pace. Not a big issue but I thought it was worth mentioning. Overall, I really liked the flavour of Rufus Teague Honey Sweet sauce and it&apos;s presentation but I found the extraction harder than I would have liked. This certainly wont stop me from trying it again though and I&apos;ve already found some more recipes to make with it. When I put my hand up for a bottle of the Rufus Teague Honey Sweet Sauce I figured it would be something hubby would use in his cooking but that I was unlikely to use. Well how very wrong I was! We had only had the bottle for a day or two when I decided I was going to make wedges with chilli beans, sour cream and cheese for dinner. Hubby was duly requested to pick up the chilli beans and salsa on his way home from work and I set about preparing the rest of the meal. He arrived home with a can of kidney beans so I was a bit stumped to what to do next. He then said "well what about that bottle of sauce you&apos;ve got?" so I quickly fried up some mince added some fresh tomatoes, onions and the kidney beans then dolloped in a few tablespoons of the Sauce. Well It was pretty much the best chilli con carne that I have ever made. My girls, three, five and seven really resist eating meat so I put the con carne in a bowl think hubby and I would eat it and just serve ourselves. As we always do I gave the girls a table spoon each with the request to at least try it. Well they tried it and then started piling on the helpings. Miss three, who very rarely ever eats meat, ate far more than I did! The taste really was very unique. Kind of smokey and sweet and very very Moorish. We all just loved it. The sauce has made an appearance in every meal since and as a result my girls are now eating meat. Hubby used it in a beef stirfry (marinating the meat in the sauce and then adding it to the stirfry.) He then used it in a chicken and chickpea casserole and I have used it in my meat patties which were quite frankly the best meta patties I have ever made. The kids finished off a whole batch and for the first time probably ever there were no leftovers and demands that I make more! I then used it to marinade my chicken strips in for sushi and a small swirl in bacon and egg pie and then in chicken stirfry. This sauce is so unique in its flavour and obviously has some ingredient in it that has finally turned my children into dinner eaters! We will definitely be including this in our shopping trolley in the future and it will probably be a staple item in the fridge. We love that it is gluten free and a little goes a long way. It is all natural and has lots of ingredients that combine to make a sauce that is truly unique. Although I didn&apos;t think I would want to we will now be trying out the hotter sauces as they may well also surprise us. This is definitely a product worth trying and for the versatility of uses your money will be well spent. I can definitely recommend this as a good value product. This has to be true awesome sauce! I got this bottle less than a week ago, and I think it has appeared in some form or another in every dinner so far. 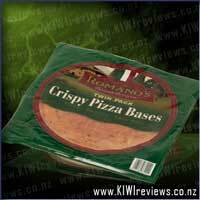 There seems to be no end to it&apos;s usefulness, be it in scones, burgers, rissoles, or pizza. I have loved using it. The first thing I did with it was add it to a scone mix I was making. What the sauce did for that savoury scone, was give it a sweet BBQ flavour which accompanied the salami and cheese filling beautifully. Next up, I took some Farrah&apos;s Wraps and made my famous stuffed crust pizzas. On one wrap, I added a layer of the Honey Sweet sauce and then cheese. Then I added the second wrap and did the sauce and cheese again. Then I added some yummy ingredients to the topping as well. I made a pizza for my children, one for one and one for my husband. Usually the kids don&apos;t eat the lot, but this time they didn&apos;t leave much behind at all! My husband was very impressed with his pizza too. Over the weekend, I made rissoles with egg, mince, bread crumbs and the Honey Sweet sauce. The flavour was delicious with that real honeyed flavour. 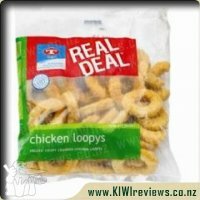 My toddler was absolutely sold on these. Then last night, I took the rissole recipe a step further and made hamburger patties. Each time I have used this sauce, it&apos;s been different but with that same distinct flavour. I can&apos;t wait to try this on chicken drumsticks next. The possibilities are endless. The presentation has to be addressed as well. I find the hipflask look of the bottle to be very clever. It kinda gives it a touch of class, though I suppose it shouldn&apos;t. I can just see this bottle in a gift hamper for a bloke, with some BBQ tools and maybe a hipflask of bourbon as well. It would make a brilliant gift at Christmas for hot summery BBQ season. As we head towards winter though, I will use t to remind me of better days. When someone mentions "BBQ Sauce" to me, my first thought is that overly-smokey tasting, gelatinous goop found on major-chain fast food, which is why my first reaction is to turn slightly green and politely refuse. However, never one to turn my back on my duties as a reviewer, and as the "chef" in the #FoodLab, I chose the sauce least likely to offend the tastebuds of my trusted test-subjects... my family... most of whom actually *like* the taste of BBQ sauce. So... thinking on this, I hit on the obvious idea - replacing tomato puree with this sauce in a pizza. A quick stop at the supermarket to grab some plain &apos;thin and crispy&apos; pizza bases, a good rummage through the fridge, pantry and garden for ingredients... and it was time to make a feed worthy of a BBQ sauce. Now, I am a chronic carnivore... so of course I was going to make it meaty. After cooking and chopping up some ham steak and bacon, I fried some onion and capsicum in garlic butter, then diced up some slices of LASCo Pepperoni and Italian Salami. After that, assembly was easy - I spread a fairly generous portion of this sauce on the base, added all the ingredients in liberal amounts, then topped it with some grated Cracked Pepper Gouda cheese. Into the benchtop oven at 250 degrees for 10 minutes, and -ding- Out comes an amazing lunch! The sauce was astounding. The cooking heat had caused it to almost caramelise, giving it a really nice sweetness, with just a hint of smokey hiding in there to tease the taste buds. Yes, that&apos;s right, I liked this! A BBQ-style smokey sauce... and I wanted more! Because the pizza was so filling, I planned for a very small dinner, so I just whipped up a bowl of 2-minute beef noodles, threw the "flavour" sachet away and added a generous dollop of this sauce, a handful of frozen veges, and then just before serving, I dropped in the last dregs of the Gouda cheese. One of our best sellers. Great with a red wine or tossed in to a salad or stir fry. Also popular with the blokes, helps a beer or two along nicely.